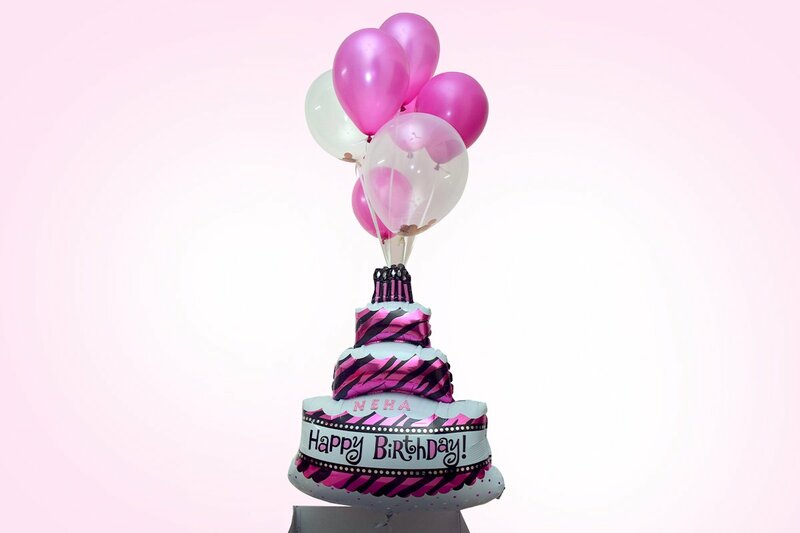 Say Happy Birthday in a fun & surprising way with our balloon surprise for her. 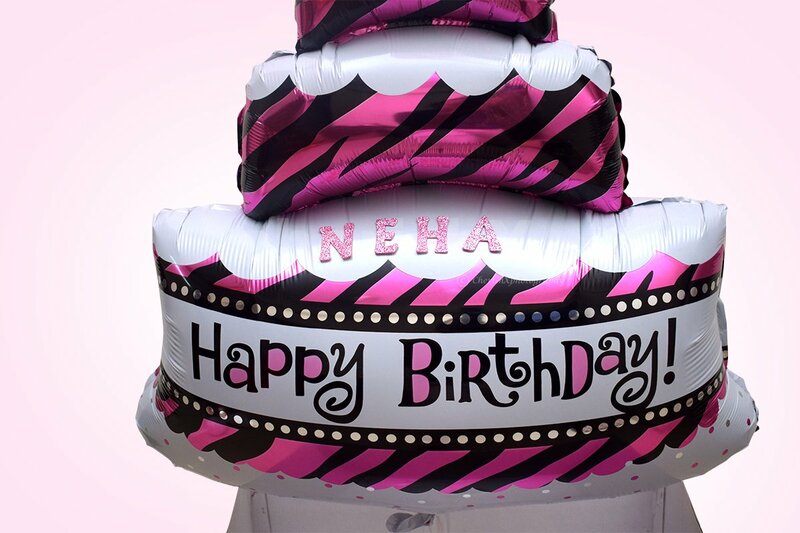 "Birthday and balloons combine with each other just like water and sugar. A must have in every birthday party is a bunch of balloons. These vibrant & funny pieces add life & energy to every party. And if the little princess's birthday is arriving soon then make it special for her, amaze her with this surprise box. 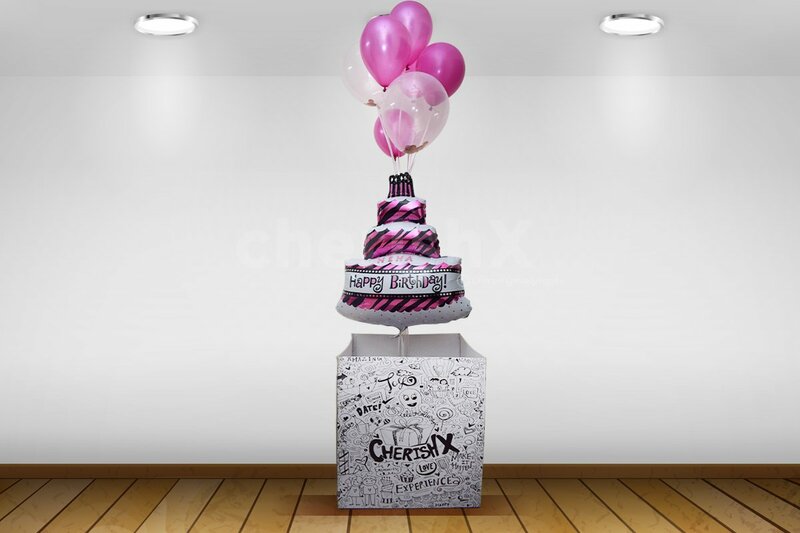 As soon as she opens the box, a balloon in shape of a birthday cake will come flying. A happy birthday foil ballon having candles above will bring a lovely smile to her face. Along comes pink helium balloons, transparent confetti & rose gold helium balloons.The surpirse box in itself looks so pretty & fascinating.Make the birthday surpirse even more special & better with customisation options available like a teddy beer (everyone's favourite hug partner) or a cookie crate among others. No celebration especially birthsdays are complete without cakes! Pick a cake of your choice from the variety available." Delivery is subjected to availability in areas like Greater Noida, Ghaziabad, Faridabad and Manesar.